As you all probably know by now, I’m a big fan of Power BI as it’s really a powerfull solution to analyze and visualize your data. 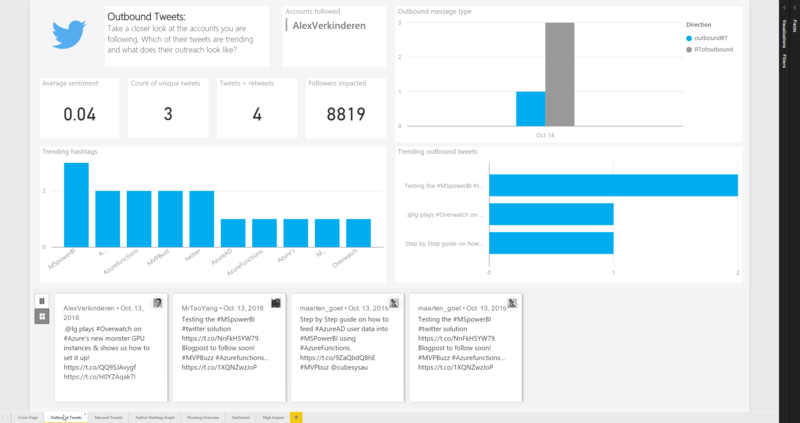 I’m also a Twitter fan, so when I discovered there is a Power BI solution that will track and analyze all of my unstructured Twitter data with a scalable dashboard solution, I just had to try this! 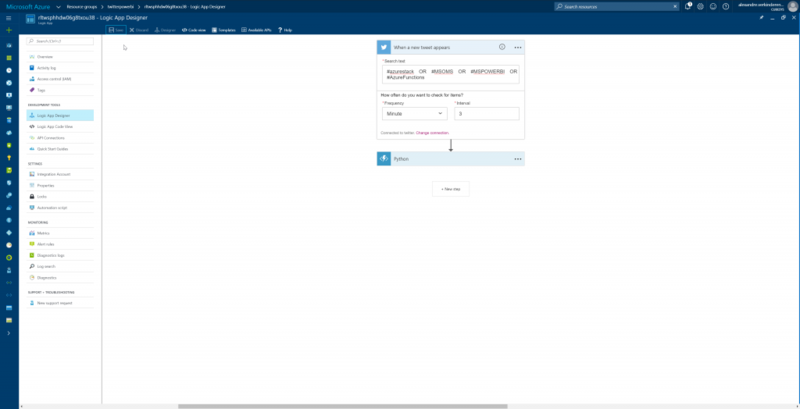 You can either create a new Azure SQL server or use an existing one. You can find more about Twitter search queries here. 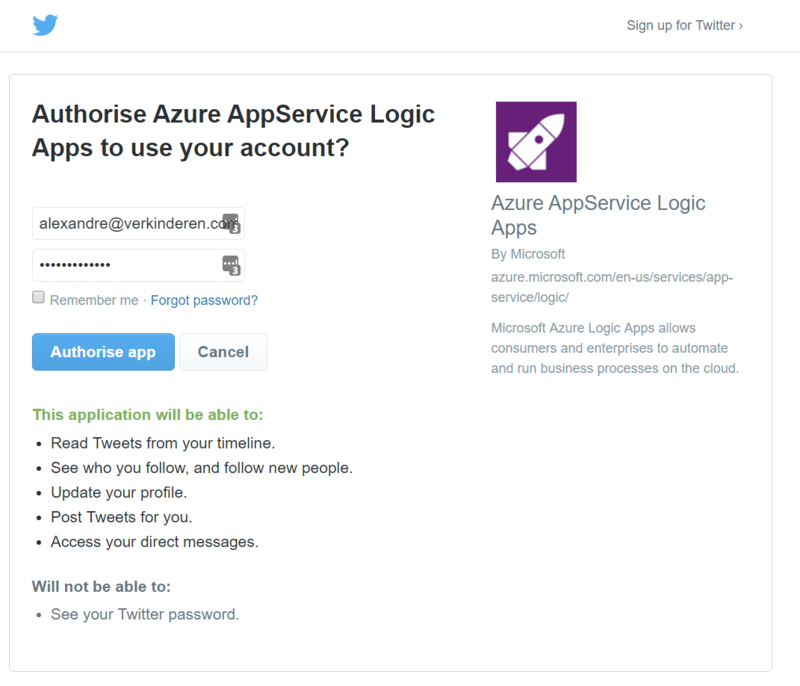 You can enrich the dashboard with the tweet direction for a specific Twitter handle (like your own). 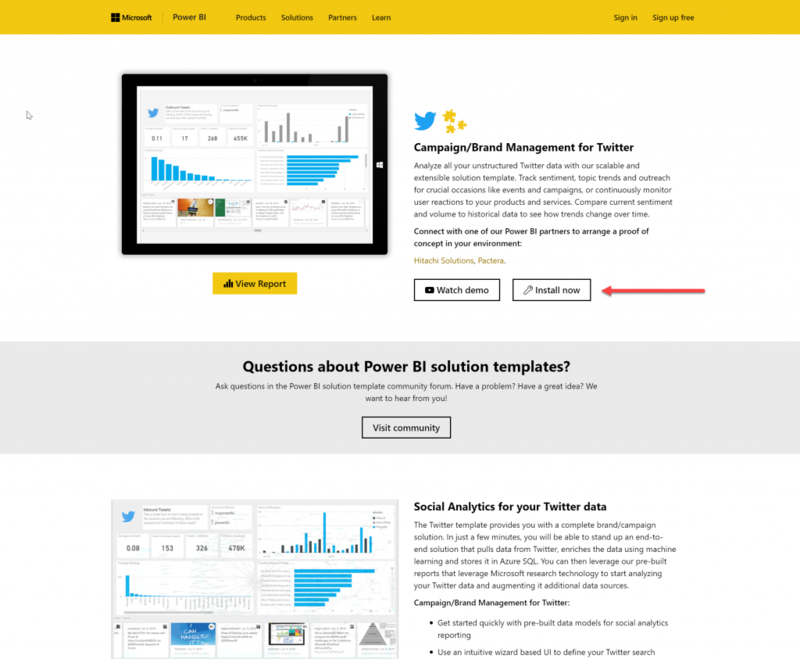 So you can track inbound and outbound tweets. Lastly, you can verify if all the parameters are correct and click Run. The deployment will take about 15 minutes to complete, make sure you don’t close your browser until all the steps are completed. 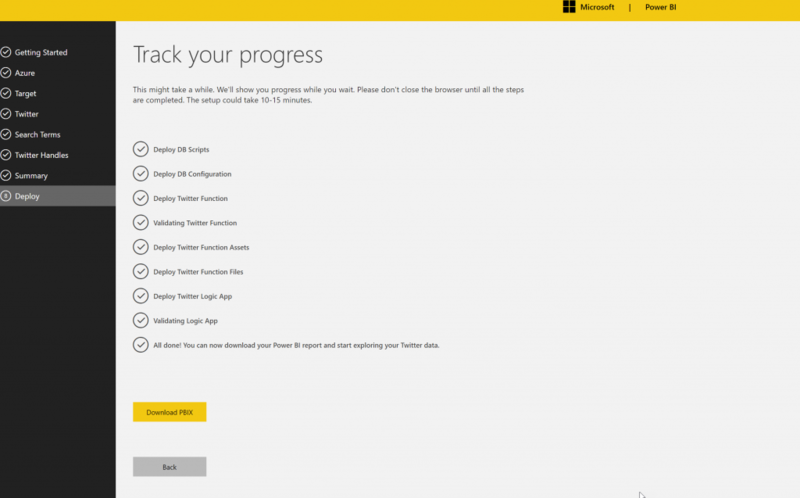 Once completed, all you have to do is download the PBIX file, which will open Power Bi desktop. We are almost there, just one last step 😀. Once Power Bi desktop is open you will have to enter the SQL credentials before you can start exploring your data. Please select Edit Queries in the top ribbon, under the Home tab. You should see an Edit Credentials message in the yellow bar. Select it and make sure you are in the Database tab (as opposed to the Windows tab). 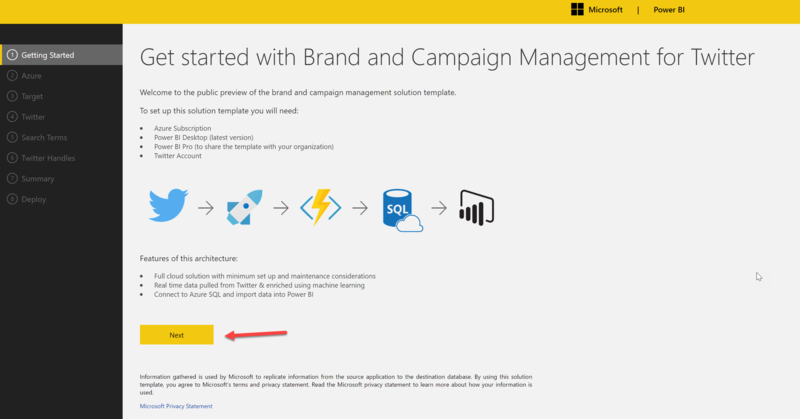 Data should now start coming into your Power BI file! It can take a few minutes for the first tweets to appear. You can also test the dashboard here. The more time I spend in Power BI, the more I’m impressed by its capabilities! What kind of data would you like to visualize with Power BI?